PMS is something many women deal with at some point or another. That’s why it’s important to learn if your beauty products cause PMS and what you can do about it. Being a woman is not easy, but with slow sustainable changes over time, we can become more healthy each day and not be plagued by PMS symptoms that make us feel lousy every month. That’s exactly why it’s so important to know, do beauty products cause PMS because then we can make the changes needed to feel our best. How Do You Know If Your PMS is Caused by Beauty Products? If you suffer from any of the above symptoms, and you assume you use safe beauty products, then yes, your products are contributing to your suffering. Do beauty products cause PMS….yes, and here’s how. Putting chemicals on your skin can be worse than ingesting them in food. Our digestive system is set up to filter chemicals (toxins) out of food. When you put chemicals on your skin, they’re absorbed straight into your bloodstream without any filtering and end up in your organs and causing major hormonal problems and you guessed it… PMS. Research now shows that you put on your skin over and over messes up your hormones and causes PMS (and the symptoms above) as well as other negative effects, like cancer. It’s not only the frequency of daily use but the combination of all the different toxic ingredients that are to blame. The second half of our cycle, after ovulation, can include fatigue, bloating, skin issues, emotional changes, breast tenderness, and cramps. The fluctuation of estrogen, progesterone, FSH (follicle stimulating hormone), LH (luteinizing hormone) largely control our cycle and dependent on certain variables, like toxins in our beauty products causing PMS, and can trigger symptoms. This is why it’s so important to know, do beauty products cause PMS, specifically the ones you are using each day? Everyone naturally produces the hormone estrogen in the adrenal glands and stored fat tissue, as well as the ovaries in women and the testes in men. Estrogen is necessary for many important functions such as childbearing, keeping cholesterol in check, and protecting bone health. It’s when your estrogen levels get out of balance with your other hormones that it can lead to a number of issues including PMS. PMS is an underlying imbalance, the root cause often being estrogen dominance. Excess estrogen is often due to faulty metabolism and poor excretion of this hormone in the body. Parabens (methyl-, isobutyl-, propyl- and others): a class of preservatives commonly used to prevent the growth of bacteria and mold. Parabens are hormone disruptors, which may alter important hormone mechanisms in our bodies. Found in: shampoo, face cleanser, body wash, body lotion, foundation. Phthalates (DBP, DEHP, DEP, and others): a class of plasticizing chemicals used to make products more pliable or to make fragrances stick to skin. Phthalates disrupt the endocrine system and may cause birth defects. Found in: synthetic fragrance, nail polish, hairspray, and plastic materials. Synthetic flavor, parfum, or fragrance: an engineered scent or flavoring agent that may contain any combination of 3,000-plus stock chemical ingredients, including hormone disruptors and allergens. Fragrance formulas are protected under federal law’s classification of trade secrets and therefore can remain undisclosed. Found in: all types of cosmetics. Toluene: a volatile petrochemical solvent that is toxic to the immune system and can cause birth defects. Found in: nail polish. 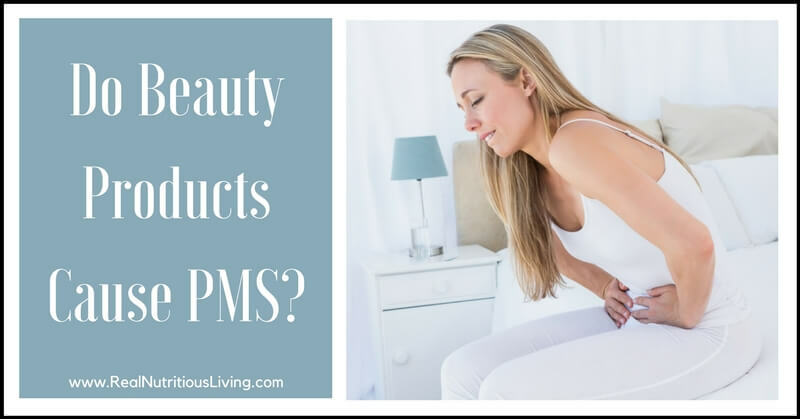 What to do about Beauty Products Causing PMS? 1. Download the Healthy Living App and start scanning your current products for safety. Aim for all of the products you use regularly to be a green light (1 or 2). 2. Shop with a company disclosing all ingredients, including those occurring through reactions, intentionally banning ingredients (like those listed above) and third-party testing each batch for heavy metals and other contaminants. Tip: If a company is testing this way, it will be clear and you won’t have to go down a rabbit hole of research. 3. Replacement buy: this simply means as you run out of your old beauty products causing PMS, replace them with safer options. This way you’re not overwhelmed trying to replace all of your items at once and it won’t impact your budget as much. I’ve tried it all. From the ultra-crunchy to DIY to the safer brands I found on Skindeep. I finally settled on Beautycounter. Let me tell you why! Most importantly, Beautycounter is ultra transparent. Every single ingredient is listed on their website. They also do third-party testing for contaminants. In addition, they are working hard to not only bring awareness to this lack of transparency in the beauty industry, they are working to change the current legislation (or really lack thereof). They are lobbying in Washington; they are organizing campaigns for citizens to contact their representatives and they have staff that researches the legislation. This does not help their bottom line much, but they do it anyway because they care. I personally love to vote with my dollars and support companies like this. PLUS, their products rock! They work so well. My skin has never looked better and the makeup performed better than any of the crunchy brands or DIY I tried before. 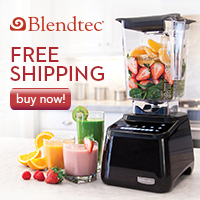 They also have a great rewards program to help save you money as you swap out your old toxic products. No more asking do beauty products cause PMS! Check out this post out to learn exactly which safe products are in my daily routine or shop HERE. Wow I never thought toxins in products could be linked to PMS symptoms but makes so much sense. I’m so glad I switched to safe and natural beauty products a while ago. Thanks for a great article! I am SO glad you switched too Jean! And you’re welcome! Thanks for writing this. The effects on our bodies is huge, and we deserve better products without hormone disruptors! We all deserve better! It’s so true! This doesn’t shock my at ALL! I had horrible PMS growing up and had all of those chemicals in my personal care. I am so thankful to know better for my girls now – thank you for getting this word out so other girls do not have to suffer! Add some artificial fragrances on TOP of the junk in beauty product, and it’s a double whammy!! Great info, thank you for sharing! YES, so true. Fragrance (aka phthalates) are a nightmare! Thanks for such great info! It makes sense what we pit on our body affects PMS symptoms. I didn’t realize it was so closely linked, but so good to know! Yeah, without the filter our digestive system has for food, what we put on our body is likely even more dangerous! You know I noticed a difference when I started eating better and my symptoms improved, but there’s still some months where I feel terrible. Makes me wonder now whether its all the beauty products you mention above. Interesting! Thanks for a great post. It’s crazy all the potential PMS causing agents we don’t think about besides food! Definitely never thought beauty products could link to PMS… Glad I’m a beautycounter user! Didn’t realize beauty products could have effect on PMS. Will look into further going forward for sure ! Yes! Thanks ChihYu, let me know if you have any questions! Wish I was young enough for PMS, but luckily perimenopause is just as fun, lol. Interesting article. I know my skin doesn’t like those ingredients but had no idea they could contribute to PMS. Haha Stacey! Yes, its some pretty crazy stuff! This is so good. I know so many women who suffer from PMS. We really do need to look closer at what we are putting on our bodies. YES! And thank you so much Katja! Honesty I think what caused my pms was the stress I had. I would get terrible cramps and etc. When that certain stress was gone I didn’t have the cramps anymore. Of course I was forty two at that time. The stress was partly my own making. Still had some of the other symptoms of pms like mold swings. I agree stress can absolutely contribute. Recirculating stress hormones puts a burden on our liver as well. Thank you for sharing your experience! So interesting! I’m so glad I’ve been using clean products for several years now. Thanks Becky! Me too- so happy to hear it!